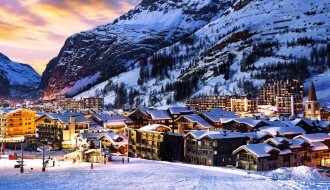 The Most Festive Resorts to Spend Christmas – SnowOnly. Is there a more Christmassy scene than an alpine village, surrounded by snow covered mountains? 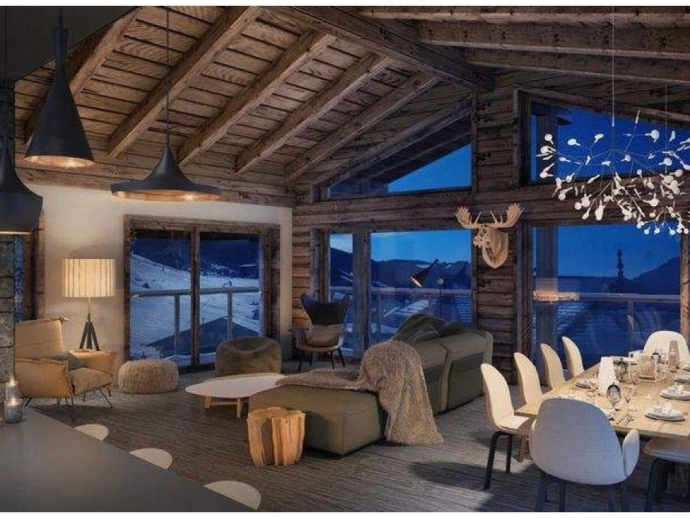 There is nowhere better best to spend the festive season than in your own property in one of these gorgeous ski resorts, where you can hit the slopes in the day and relax by the fire in your luxury alpine chalet in the evening? Ski property provides an ideal investment for Christmas and winter sports fans, as these picturesque backdrops will always provide the cosiest settings, finest cuisines and most festive frills for the most wonderful time of the year; meaning you return time and time again for the holiday season. Not only will these venues provide the perfect winter retreat, but once you have one of these stunning boltholes you will always be able to rent it out to people at this time of the year at most favourable rates . Either way, it’s a win-win! There are some ski resorts in the world that absolutely ooze festive charm. If you’re looking to find a winter season bolthole, then start looking in one of these resorts! This magical resort truly lights up at Christmas time so it’s the perfect time of year to see Courchevel at its best. All of the surrounding villages are everything you would want; picturesque alpine chalets, Christmas markets, mulled wine, live music and outstanding food. 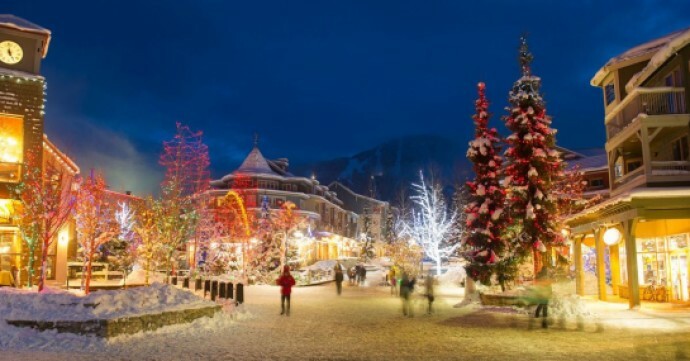 Courchevel is also a very family friendly resort, so organisers ensure the festive period is as magical as possible for children, which includes hosting the ‘Christmas enchanted week’ where Father Christmas, his elves and other magical creatures grace the streets of Courchevel in a parade. There are also fireworks, live music and a truly special festive atmosphere the whole family will enjoy. We have a number of stunning Courchevel ski property listings where you can enjoy the magic from your own pad, close to the festive joy. This is a truly stunning resort, as anyone who has been there will testify. 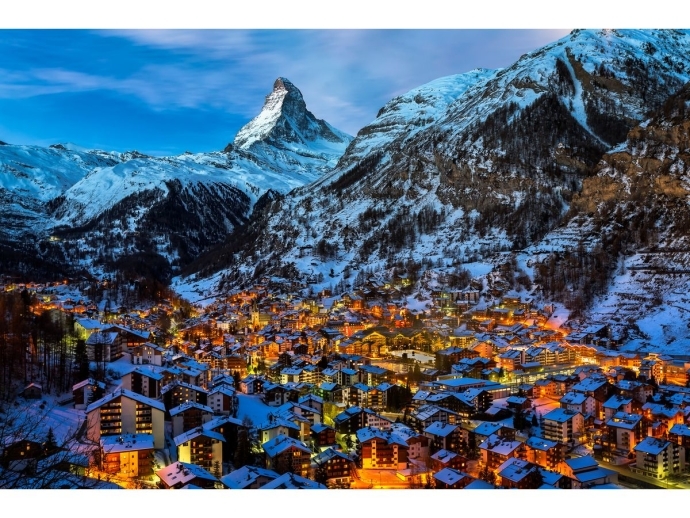 Firstly, Zermatt sits at an altitude of 3100m, so there is nowhere more snow sure. You’re guaranteed a white Christmas! You can take a ride on the Gornergrat Cog Railway up the mountain to take in the view across the Alps on a viewing platform at 3089m, the summit of the Gornergrat. There’s something festive about a train ride anyway, so a snowy train ride up a mountain to take in panoramic views of the alps is the ultimate Christmas experience. This gorgeous little resort is part of the huge Ski Alberg (largest connected resort in Austria). Despite being a favourite with royals such as the late Princess Diana as well as Princess Caroline of Monaco, Lech is a decidedly understated gem of a resort. 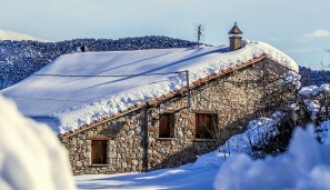 It has retained its rural village charm whilst providing visitors with easy access to connecting resorts and slopes as well as every desirable bit of infrastructure to attract skiers and property buyers. Lech also gets twice as much snowfall as many of its French competitors which makes it a dream destination at Christmas time. The pretty Christmas market in Lech offers the perfect festive treat, while the village also offers rides in a horse drawn sleigh as well as ice skating and other winter wonderland activities that will render your festive season extra magical. 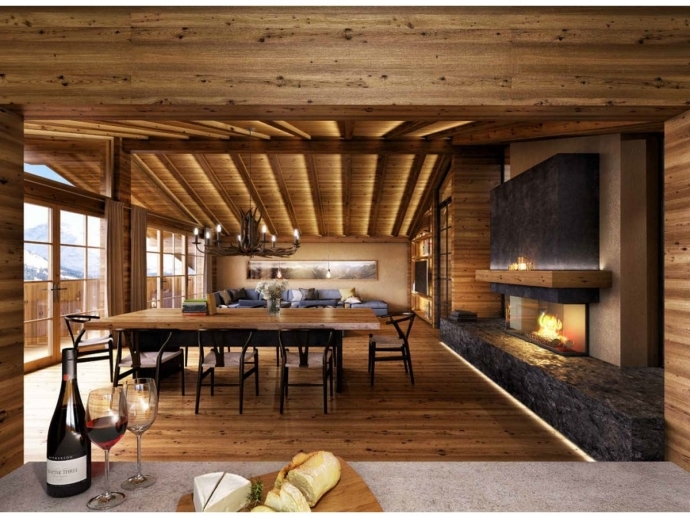 We have a number of exquisite ski property listings in Lech, so you can actually look to own a piece of this exquisite place. 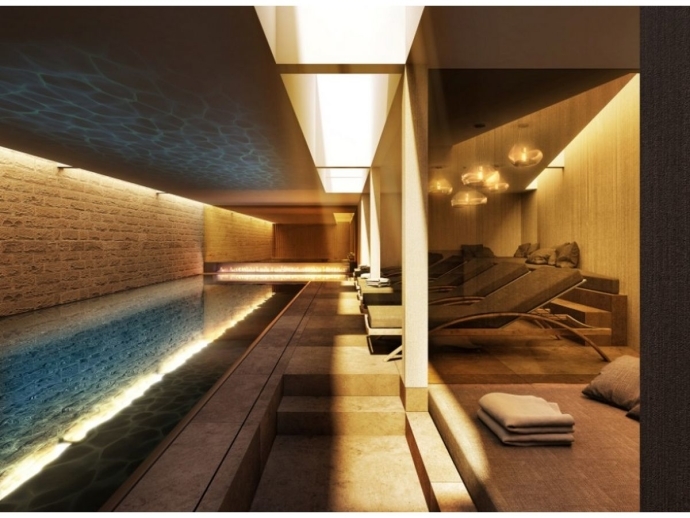 The PURE Lech resort for example offers exclusive luxury homes in the heart of this charming resort where you can enjoy a pool, spa, hammam and photogenic mountain views all in a ‘ski-in, ski-out’ property complex. This resort is a great place to spend Christmas with the kids as it transforms into a veritable Christmas town during the festive season. There’re the chocolate workshops that run throughout December (Le Chalet du Chocolat) and the mechanical music museum which just oozes festive charm. You can also ride a train into Santa’s grotto in an enchanted forest and enjoy a guided tour of the area by one of the big man’s busy elves. This is altogether a lovely Christmas experience for children – so a best bet for families. We have a numerous property listings in Les Gets, ranging from stunning 5 bed, 5 bath luxury chalet to 2 bed 2 bath Chalet 1839 pictured below. Wouldn’t you love to spend Christmas here, looking out at the type of scenery where a sleigh and a group of reindeer would be right at home? Wherever you go, wherever you buy your ski property, you can be sure that the atmosphere will be festive, just because of the nature of the sport! These are just a few of our favourites. 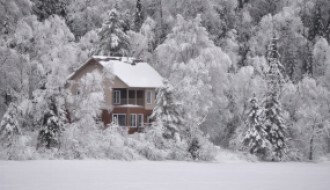 As a worldwide ski property portal, we have drawn together hundreds and hundreds of ski property listings to one convenient place, so you don’t have to trawl Google for weeks looking for the right one. Enjoy browsing SnowOnly for your next investment opportunity.